City officials aren’t supposed to talk at the annual Baltimore ritual known as Taxpayers’ Night – by tradition, they promise only to listen. So that’s what Mayor Stephanie Rawlings-Blake, City Council President Bernard C. “Jack” Young, Comptroller Joan M. Pratt and the others did last night before a packed crowd at the War Memorial Building. 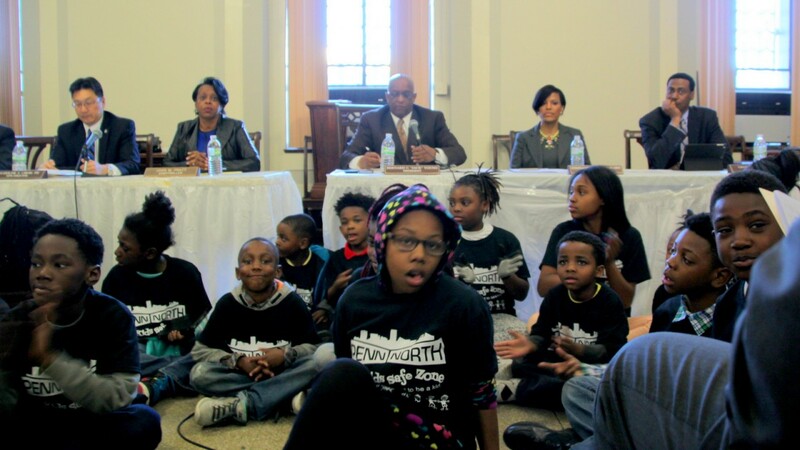 They sat there impassively as adults and children implored them to restore cuts in the budget for City Schools ($2.8 million) and for after-school program ($4.2 million). One speaker blasted the mayor’s $2.6 billion 2017 budget as “obnoxiously foul.” Another asked how they could sleep at night. A woman sobbed. The members of the Board Estimates still didn’t crack until a direct challenge was flung down to Pratt and Young. It came from Connor Meek, who is running unaffiliated against Young and has been frustrated by the 20-year City Council veteran’s refusal to appear with other candidates in public. 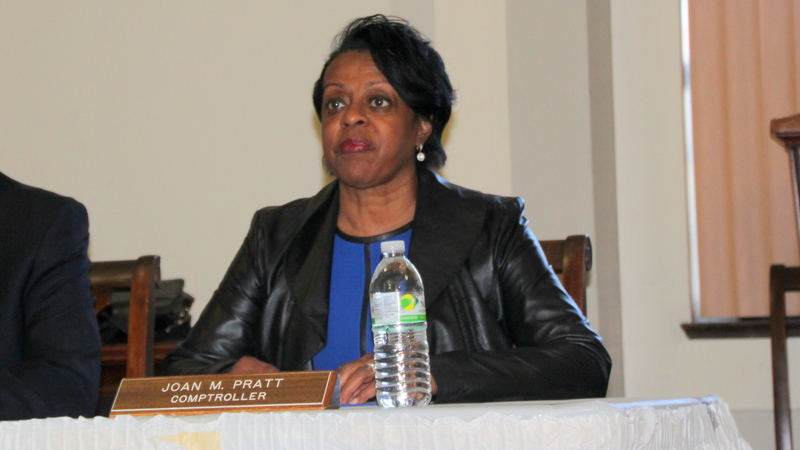 Likewise Pratt, who has served as Comptroller for 21 years and hasn’t faced a challenger since 1999, has been criticized for failing to engage with voters and for not responding to an invite to an upcoming debate. Young doesn’t have a campaign website (UPDATE: Now he does: www.bernardyoung.net) and Pratt’s is rudimentary. “I’ve come here to deliver two invitations in person,” he said, calling on Pratt to attend a forum with opponent Mike King scheduled tomorrow at the Downtown Cultural Arts Center. “President Young, you have missed so many forums and debates that the good people—” before Young cut him off. “I’m talking about the taxpayers, yes,” Meek replied. The sharp, off-script exchange between Young and Meek was just one way the Election Year altered this hardy perennial. Frequently these days, only a few people show up for Taxpayers’ Night, which is mandated by the City Charter. In 2014, about 20 came and only one spoke. This year it was standing-room only, with speaker after speaker and a half-dozen incumbents in the room, all of them scrupulously “recognized” by Young. 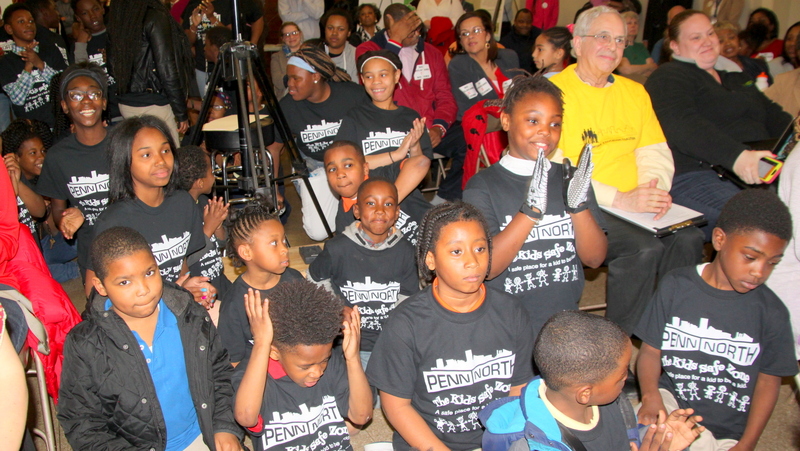 But the main issue that filled the room to capacity was the slashing of funding and programs that chiefly benefit the city’s poor neighborhoods. Many pointed out that the cuts that are coming just as the city is hitting the one-year anniversary of protests and a riot following the in-custody death of Freddie Gray. 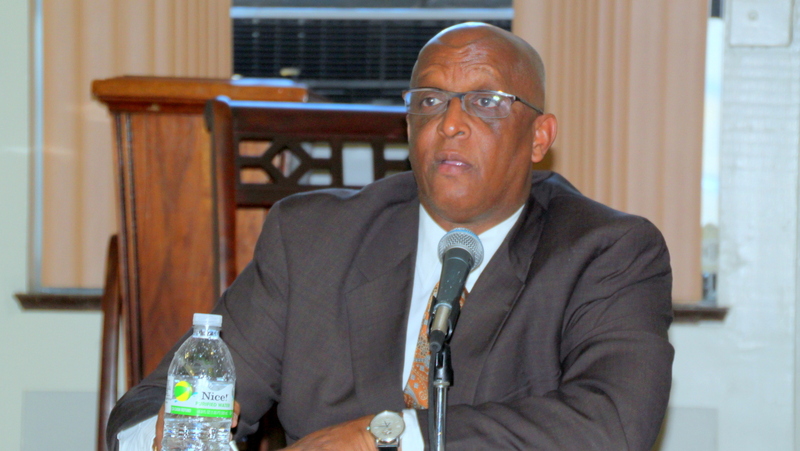 “The civil unrest that happened last year, it was not something that just happens. It happens all the time in our city. . . These children see more trauma in their childhood than most adults suffer in their entire life,” said Thaene Hardy, a parent volunteer at Guilford Elementary/Middle School. 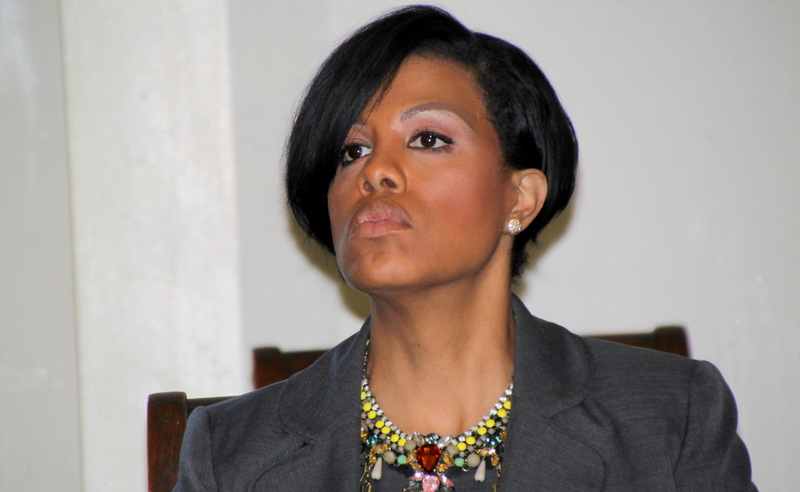 Children need the programs that Rawlings-Blake is proposing to cut, said Hardy, who noted that Guilford is a “community school” that partners with Strong City Baltimore. Last year, citing “the recent unrest,” Rawlings-Blake added $4.2 million to the budget, for additional 2,500 students to receive after-school services and for the creation of six new community schools. This year, she is eliminating that funding. The mayor is also cutting $2.8 million in school employee benefits, a cost the city has traditionally covered. 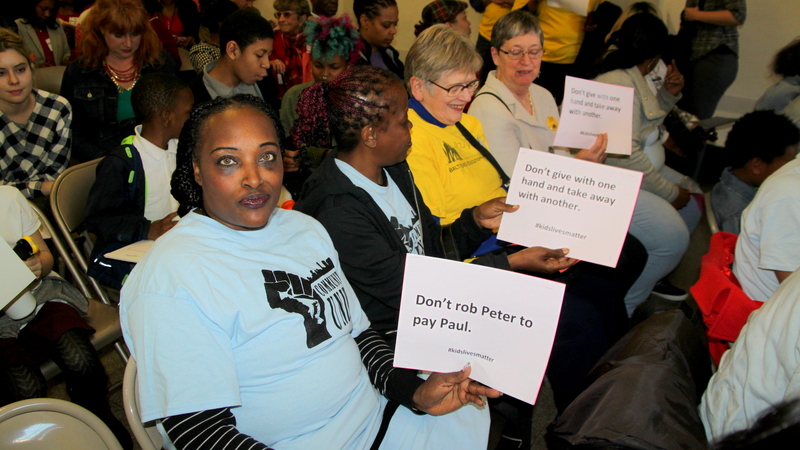 Advocates noted that the city’s budget proposal adds $10.4 million for city schools but said the $2.8 million subtraction would hurt children. “That’s 32 teachers,” said Frank Patinella, co-chair of the Baltimore Education Coalition and senior education advocate at the ACLU of Maryland. Shifting City Schools expenses traditionally covered by the city is a quiet way to undermine support for Baltimore’s students, he and others said. Speakers opposing the Out of School Time cuts said that “more than daycare,” the programs provide recreation, arts, STEM learning, college preparation, financial literacy classes and more to under-served youth. They cited refugees and immigrants, children in foster care, children with disabilities, children living in public housing and in the juvenile justice system. But many said that on the most basic level, they keep children safe. “It’s where they go to be safe from the streets of Sandtown-Winchester, where there is an open air drug market on the playground and I have to crouch between cars and take pictures and text to the police commissioner,” said Ericka Alston, of the Kids Safe Zone in Penn-North, which was at the epicenter of last year’s unrest. Alston said the children who come to centers like hers across the city need help, and not when the city has a riot. VIDEO (From City Explainer) of Connor Meek’s challenge to Jack Young and Joan Pratt.